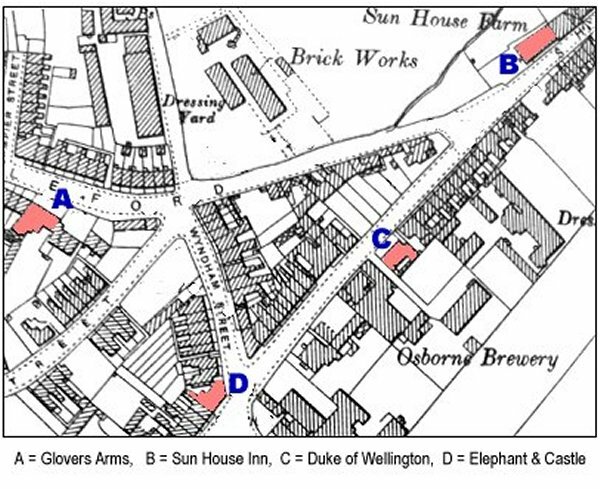 The second Glovers Arms, marked 'A' on the map below, was originally a 17th century farmhouse at the bottom of Reckleford Hill. It was the home of the Isaac family until the death of Yeoman Samuel Isaac in 1849. The building had certainly been a pub since the 1850’s, and was given its name after the demise of the first Glovers Arms - a beerhouse in Brunswick Street. At one time the buildings attached to it were part of a small glove-making factory and certainly two former landlords, James Allen and William Tucker, were glovers as well as licensees. 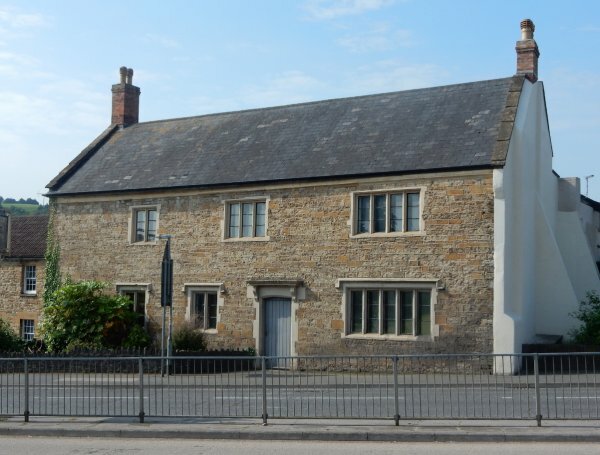 These buildings were later converted to cottages and have recently been completely refurbished. "Inn with possible C17 origins. Local stone cut and squared with (painted) Ham stone dressings, with Welsh slated roof between coped gables; brick chimney stacks (the tops in modern work) at each end. 2-storey, random facade. The off centre doorway probably of C19, the pair of 2-panelled doors having a shallow segmental arch over, surmounted by a flat hood of shallow projection on simple pattern console brackets; to left of doorway a pair of 2-light hollow chamfered windows with hood moulds, and to the right a 5-light similar window: at first floor level 2-light window on the left, then a 3-light and a 4-light, all without hood moulds. On the east return wall a small arched stair window. Further mullioned windows to rear but a early C20 2-storey brick extension covers some of the elevation. The interior not fully inspected, but the east room on the ground floor retains a large fireplace (partly restored) and the bulk of the winding staircase to one side of same (having very deep risers), with its arched door-way, still survives." At left is a public house 'check' or trade token issued at the Glovers Arms during the period William Bond was licensee - from about 1911 until 1923. It is made of brass, is 23.8mm in diameter and has a milled edge. On the obverse it says "WILLIAM BOND - GLOVERS ARMS - YEOVIL" and on the reverse, within a wreath, is its value - 2D. At this time two old pence could buy you a pint of stout. Checks were frequently used in games, such as skittles or quoits where, for instance, players would 'chip in' a check to the 'kitty' which would be won by the winning team to redeem at the bar. By issuing checks a landlord could guarantee they would be spent in his establishment only. From me - "The Glovers Arms had a good skittle alley ‘out back’ where I played for many years during the 1970’s, and I seem to recall a glass dividing wall to the rear of the pub, but my memory is distinctly hazy on this point – probably something to do with the copious amounts of beer drunk on skittle nights!" A derelict pub is in danger of collapsing because of constant arson attacks. On Tuesday at 4.42pm firefighters attended the blaze at the Glovers Arms pub at Reckleford, Yeovil, and found it to be well alight, with thick smoke pouring from the building. Four appliances and eight firefighters dealt with the blaze and had it under control by 5.40pm. A spokesman for the fire brigade said it was thought to have been started deliberately. The Glovers Arms closed around 2005 following several fires and has now been converted to flats. 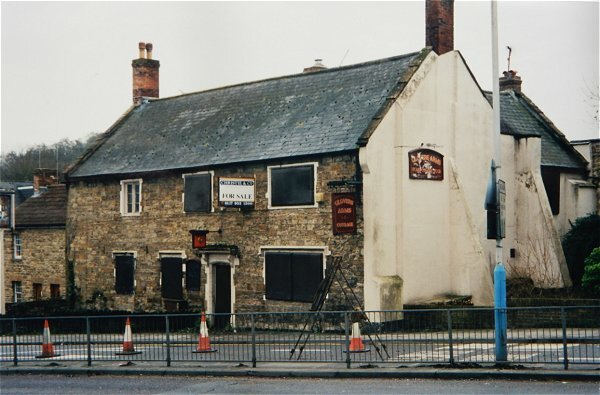 Until the death of Samuel Isaac in 1849, the Glovers Arms was a private farm house. It became licensed premises after his death. The first licensee I found, James Allen, was born 5 August 1805 in Yeovil, the son of John Allen. In the 1841 census glover James and his glove cutter wife, Elizabeth, née Appleby, and seven of their nine children were listed as living in Vicarage Street. In the 1851 census the family are listed at the Glovers Arms although James' occupation is given as glove cutter. 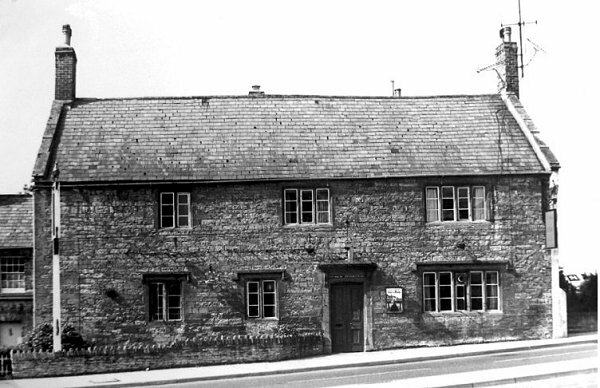 In 1861 however, the census lists James as the inn keeper of the Glovers Arms and his daughter, Emma, as a barmaid. James died in 1865 and Elizabeth assumed the license for a year or two. The longest serving landlord at the Glovers Arms was William Tucker, who ran the Glovers Arms from at least 1871 until his death at the turn of the century. William was born in Yeovil around 1838, the son of leather dresser William Tucker and his wife, Lydia. In 1841 the family was living in Reckleford and William, at this time aged 12, had given his occupation as a glover. By the time of the 1861 census William's mother had died and he was living with his father and siblings in Reckleford. 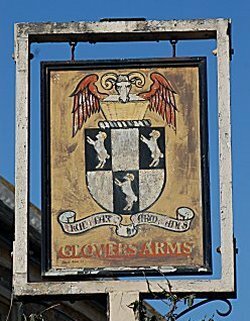 By 1871 William and his wife, Frances, were at the Glovers Arms where William was listed as inn keeper and glover. In fact William was actually a glove manufacturer, having invested in the business of F Blake & Co just a few doors along in Reckleford. When William began investing in town development and providing speculative housing for glove workers, he named two of the roads he built after members of his family; Earle Street after his son and Vincent Street, as well as Vincent Place, after his wife's maiden name. William was also listed in several directories through the years, the final entry being in Kelly's Directory of 1897. William died in December 1899 and Frances took on the license for a year or two. She is listed as a publican in the 1901 census, living at the Glovers with two of her children and a grandchild. By 1911 she was living at 37 Hendford Hill on private means with her daughter and granddaughter. Frances died in 1932, aged 88. 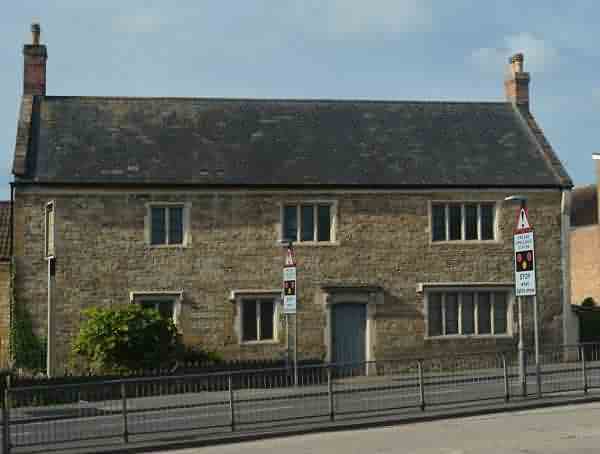 William Bond was born about 1865 in Yeovil, the son of farmer William Bond and his wife, Mary Ann. William senior farmed 25 acres and employed one labourer at Lower Lyde, Yeovil. William junior listed his occupation as a farmer's son in the 1881 census (and repeated it in the census of 1901). William and Beatrice Henrietta Evans, some 14 years his junior, were married in Yeovil in October 1899 and lived in Colmer Road with baby daughter, Beatrice, who sadly died in childhood. 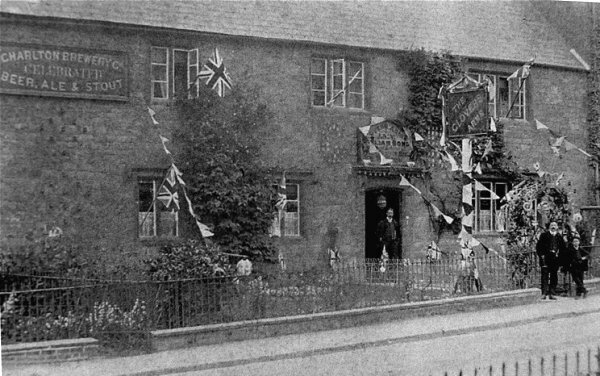 According to the advert at left, William was licensee of the Glovers Arms by 1907. In the 1911 census the family were living at the Glovers Arms where William was listed as hotel keeper and Beatrice as assistant in the business. William was still listed as licensee in the 1923 edition of Kelly's Directory. 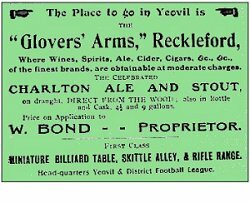 Check out William Bond's advertisement at left from the Western Gazette Almanac of 1907 - the Glovers had a rifle range! Who said guns and alcohol don't mix? The photograph above was taken in 1911 when the inn was decorated to celebrate the Coronation of King George V. In the doorway is William Bond, landlord at the time. You can tell by the fence in the lower right foreground that Reckleford was not very wide at this time. 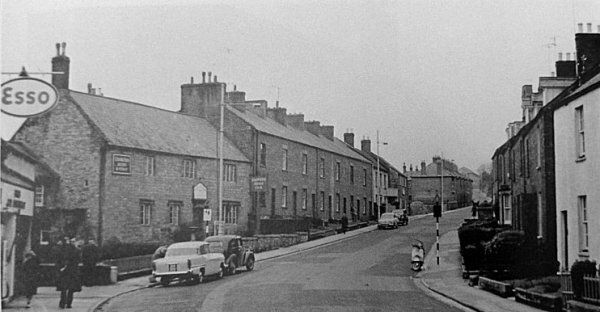 This photograph, taken in 1960, shows the terrace of houses that were demolished for the widening of Reckleford and the construction of the ambulance and fire stations that opened in 1962. In the distance, Salisbury Terrace was demolished shortly thereafter for the Reckleford widening as were the cottages at right – built around 1850 by William Bide to house workers in his glove factory. This photograph was taken in the mid 1960's. Reckleford was obviously a little wider than is apparent in the photograph above but was about to become much wider as the cottages at right in this photograph were demolished so that Reckleford could be widened even further into the dual carriageway it is today. Note too that Salisbury Terrace, seen in the previous photograph, has now gone. 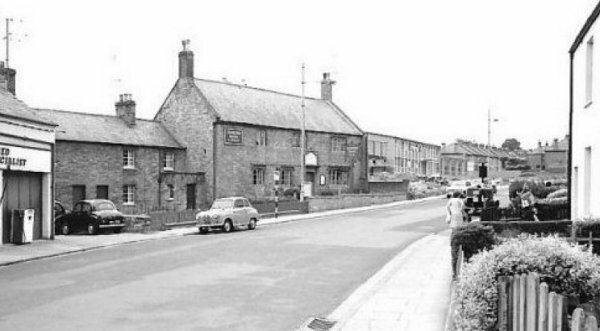 A nice monochrome study of the Glovers Arms from the 1960's. 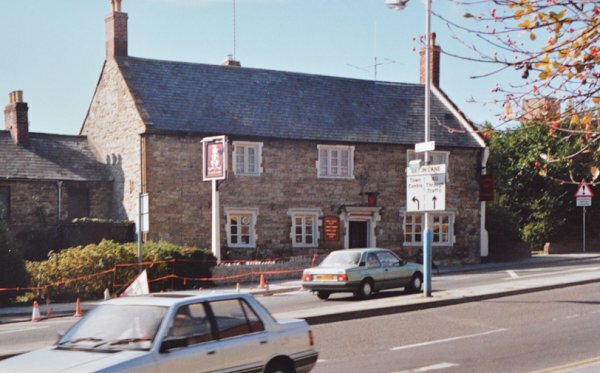 The Glovers Arms photographed in 1989. Closed and before a string of fires almost destroyed the building. Photographed in 2002. 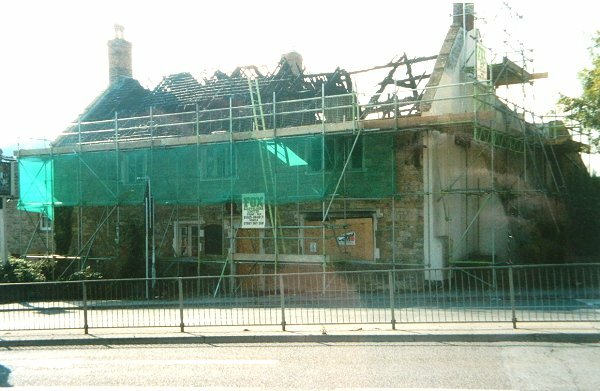 The Glovers Arms after a series of fires left it standing as just a shell. Photographed in 2003. The Glovers Arms, now converted to flats. Photographed in 2017. ... and photographed from a slightly different perspective in 2018. 1901 – Frances Tucker (widow of William) – Publican (1901 census).